David is a highly motivated Designer with a broad range of experience in SCADA & Automation; including Project Management, PLC programming, SCADA programming, panel manufacture and delivery of major SCADA & PLC system upgrade projects. David has a proven ability to receive a project and structure a team to deliver a product to a customer that is the best engineered solution. He has 20 years of industrial and water experience and has worked managing, designing and implementing electrical, SCADA, control and telemetry systems for a broad cross section of industries. Of relevance to this panel Dave undertook in depth customer witness testing for the PLC and control systems for customers Switchboards, FAT testing and SAT testing. 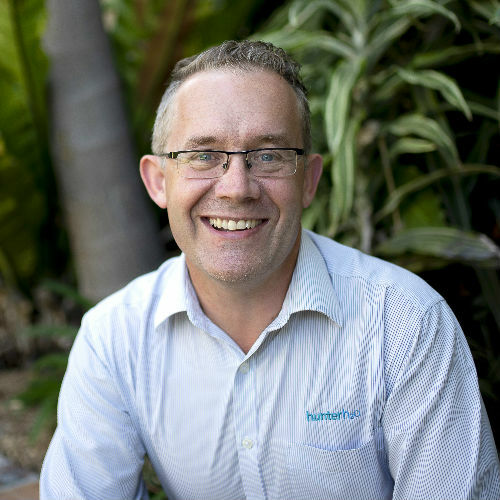 This includes Hunter Water Corporation, Townsville City Council and The Hunter Water Treatment alliance.